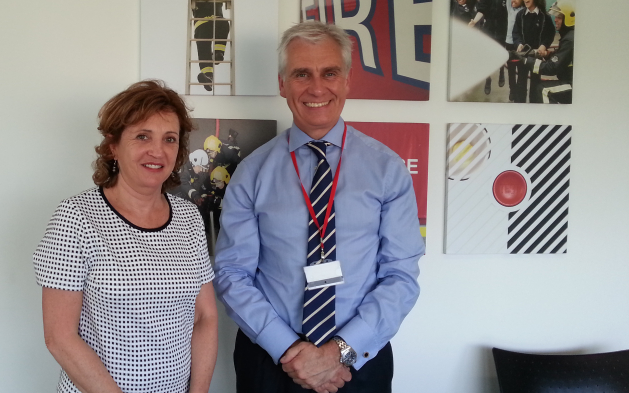 Viven Morgan, CEO, visited the headquarters of the London Fire Brigade where she met the London Fire Commissioner, Ron Dobson (pictured with Vivien), who showed strong interest in working with charities focussed on burns advice and research. Dobson will soon be overseeing a meeting which will be taking place on the 23rd July in which numerous burns charities will be participating, including Restore. Also attending will be the charity Children of Fire who bring over children who have recently been badly burned, from South Africa to London, some of whom are expected to be present at this exciting meeting!